In response to rising healthcare costs and shifting models of delivering care, NorthShore University HealthSystem has kicked off its specialty hospital strategy with the opening of its Orthopaedic & Spine Institute. NorthShore, which says its orthopaedic case volume has grown 42 percent in five years, has transformed Skokie Hospital into an orthopaedic specialty hospital. By centralizing such cases, "we can be more efficient and we can provide better care at a lower cost," said Sean O'Grady, chief clinical operations officer at the four-hospital network. While the Skokie campus will continue providing emergency and outpatient services to all patients, its 123-beds will be reserved for those in need of advanced orthopaedic and spine care—with a focus on bones, joints, spines, ligaments, muscles, tendons and physical therapy. All other patients will be transferred to the NorthShore hospital specializing in their condition. "Changing the traditional 'one-size-fits-all' hospital approach to a more efficient, specialized model leverages the greatest strengths of each of our four hospitals and allows for delivery of higher quality patient care at lower cost to patients and the health system alike," NorthShore said in a statement yesterday. Meanwhile, ophthalmology and urology service lines have been centralized at Glenbrook Hospital. And Evanston Hospital, which has always been a destination for specialized medical care, will continue treating patients with more complex conditions like cancer. Open heart programs, for example, have been centralized at Evanston and Highland Park Hospital. 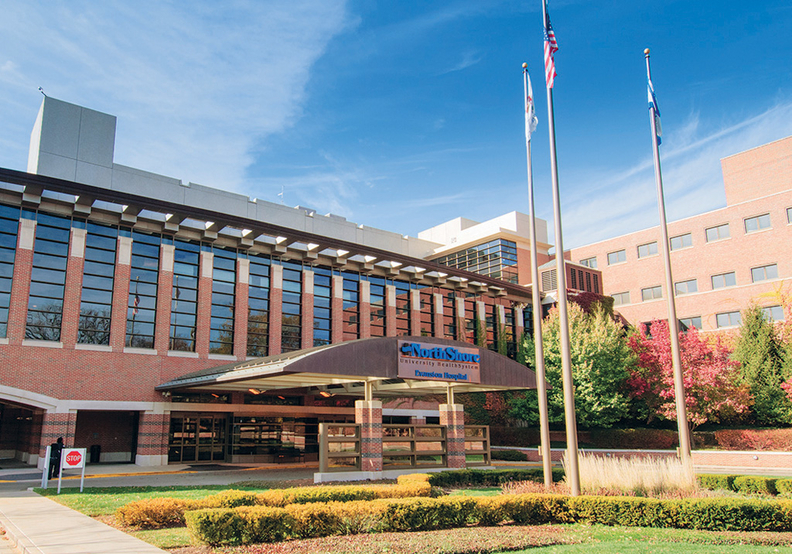 The first phase of the strategy, which covers enhancements at Skokie Hospital, including an expanded operating room and innovative rehabilitation services, is costing the hospital chain between $35 million and $50 million, O'Grady said. Inpatient care units at Evanston Hospital that were not in use are being renovated for about $20 million to accommodate patients who previously would have been admitted to Skokie Hospital, he added. O'Grady said NorthShore has worked with local elected officials to prepare the Skokie community for the launch of its specialty hospital strategy. "People who go to Skokie hospital love Skokie hospital, and there will be a difficult transition for them when they need to move to Evanston or Glenbrook for an inpatient admission," O'Grady said. "But we're confident when they see how consistently the care is provided across those places that they'll quickly realize it's the same thing they've gotten at Skokie. It just is in a different location." "NorthShore bets on specialty hospitals" originally appeared in Crain's Chicago Business.